Teresa Frye Brown’s musical ministry forms a background for her application of music a metaphor to the preaching moment. In the book she interviews numerous preaching sistas and uses categories from her homiletics courses to structure the data that she found in the interviews. The result is a helpful Black Women’s Commentary on the homiletic process. After reading the book I felt a renewed resolve to promote and defend women in ministry as well as an imperative to follow GodÃ¢â‚¬â„¢s call on my own life irregardless of ecclesial impediments to my journey. The first couple of chapters provide information on ordination and call that every male minister of the Gospel should keep in mind. It is a review of the gender barrier to ordination. Interestingly enough this aspect of the book also demonstrated the resolve of our sisters to find ways and means to preach the gospel irregardless of these barriers. While we should never accept discrimination in any form, I did find the list of venues for women’s in ministry to be a very helpful way to see other possible ways to minister apart from the pulpit in the church that all ministers, male and female, should look at. Our sisters have shown us the way to greater ministry. After call and ordination, Brown moves to a discussion of Biblical exegesis, themes, and structures for sermons by Black women. I found that this section demonstrated that while some women have a tendency towards preaching actively for liberation of women, most of the themes such as purpose, hope, and liberation of the poor holds much in common with the Black male preacher. Of special interest was the discussion of the “whoop.” In the past the Whoop has been looked down upon. Today I am finding more and more seeking to implement whoop or “whoop-like” elements in their sermons. I found it helpful the way she discusses a criteria for evaluating the appropriateness of the whoop in a particular sermon. In addition to this, I liked the inclusion of a list of dialogical cues from black women preachers that call for response from the congregation. These cues are sayings like “Stay with me!” or “Amen Lights!” Many of these I have heard in black churches. What is interesting about the list is that the wide variety of statements points to an underlying premium on authenticity. The variety of cues to call and response demonstrates that the Black Pulpit allows one to be oneself. This is an especially interesting statement in light of the fact that Black women have not always been allowed to be their selves. An example of this is the discussion of ecclesial clothing. I think that there are many interesting points, but after reading this I saw again the need for women to not only be preachers, but women to be themselves when preaching. Especially because the Black pulpit has placed a premium on authenticity, the black women should not be chastised for being a woman (makeup and clothing) or for sounding like a woman. After reading the book, I am becoming more and more convinced that a book on black preaching must have an audio component. How can one speak about the whoop or homiletical devices without giving an audio example? 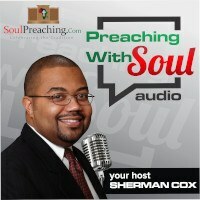 This could be helpful to preachers who have not been steeped in this form of Black preaching. 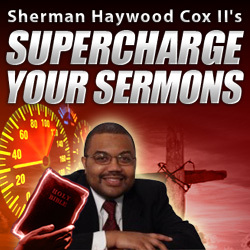 Another issue in the book is that only Brown’s sermons were included in the book. I understand that people pushed her to do this, but I think that a wider variety of voices might have helped. If one did not provide a wider variety of voices then at least provide a wider variety of sermonic styles. Perhaps she could have provided examples of an expository, celebrationist, thematic, and other types of sermons to demonstrate the richness of the African American womenÃ¢â‚¬â„¢s approach to the preaching task.